There's no reason to camouflage your event! 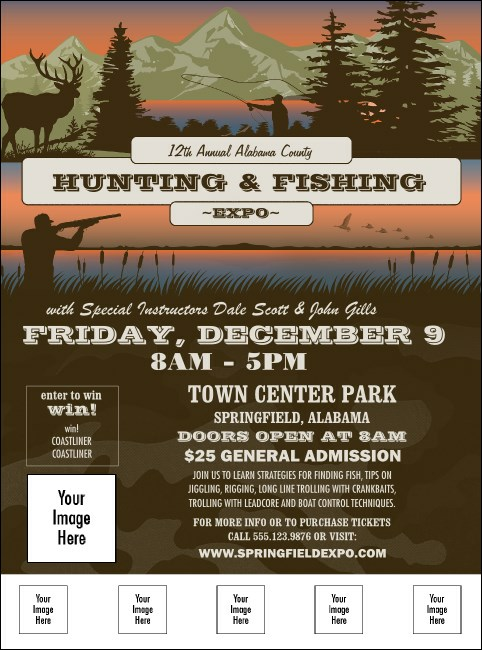 Choose a Fishing and Hunting Expo Green Camo Flyer with space for you to upload custom photos of your vendors and exhibitors and has plenty of space for your information on the template. With images of a hunter, fisherman, ducks, and mountains this Flyer helps you take aim at your sales goals.